The MoneyWise Homesafe BIG Lottery funded Project helps local Norwich tenants, of any age, manage their bills with more confidence; giving them the power to change how they deal with their money. New legislation means that employers must start paying the National Living Wage from April 2016. Defra secretary and Norfolk MP Liz Truss has published a 10-point plan for boosting productivity in rural areas. Fearing the loss of the existing bookshop, which was run as a private business but was closing down, a group of local people wanted to take it over and run it as a social enterprise. 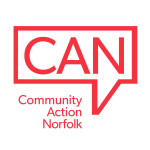 The group got in contact with Community Action Norfolk and we reviewed the group’s business plan and funding options, providing advice and additional options for support. The group also valued our advice in setting up an appropriate legal structure for their new social enterprise.